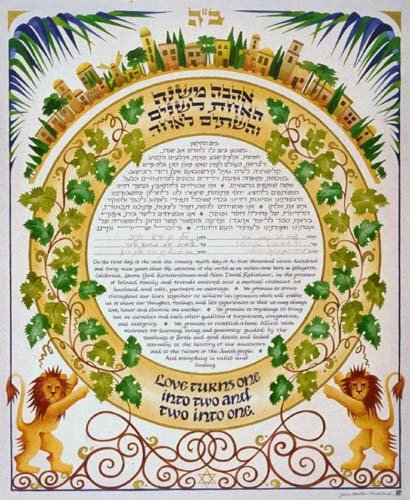 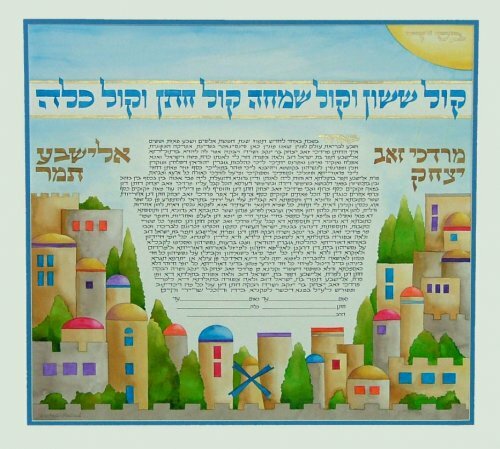 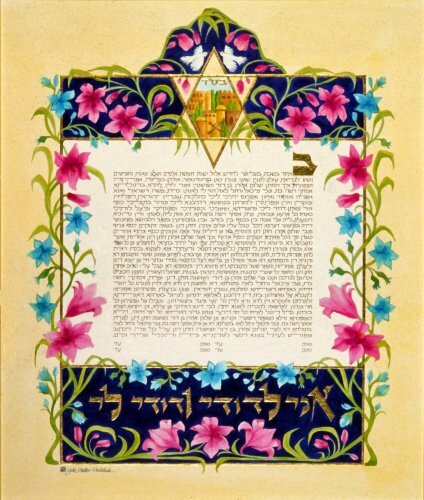 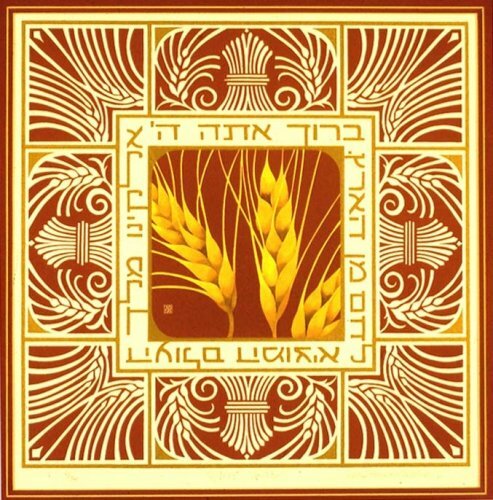 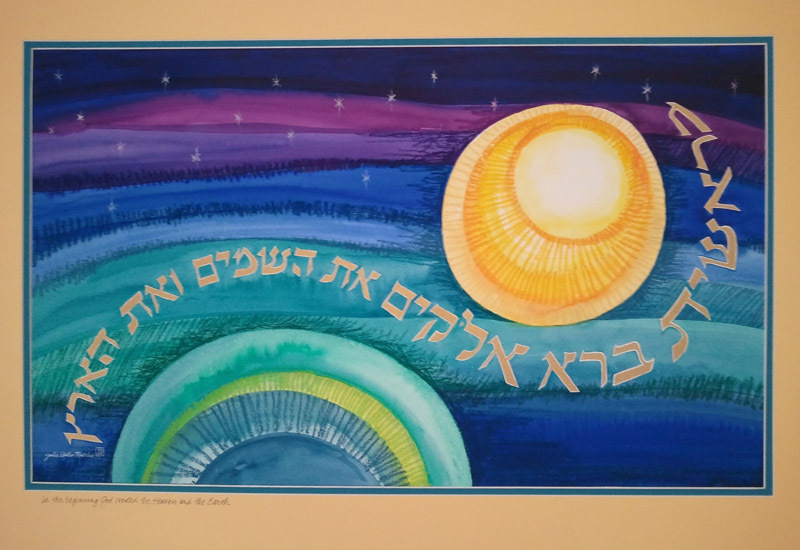 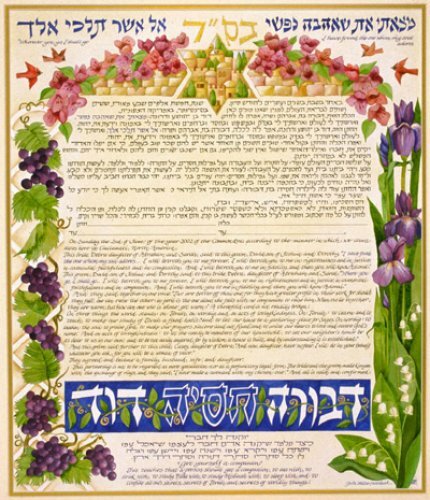 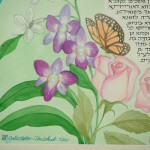 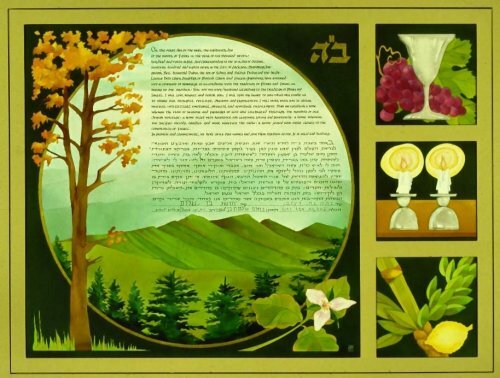 This original Ketubah was created for a couple in Oregon. 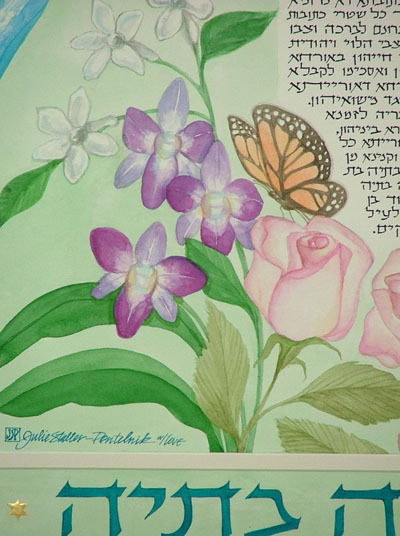 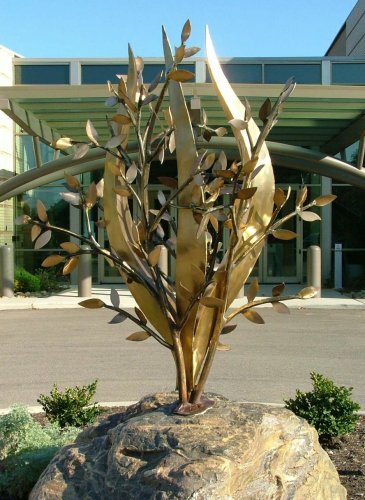 They chose the “Three Sisters” mountain range as a focal point because between them, they have three sisters. 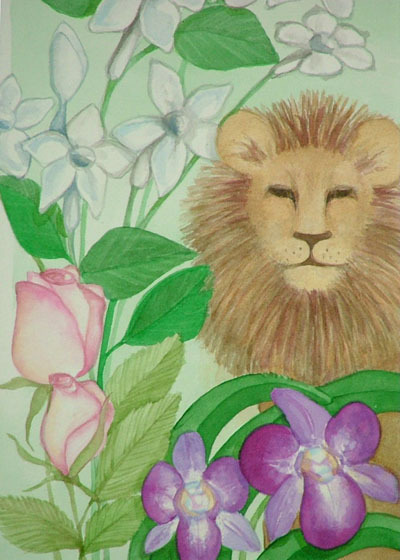 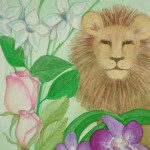 Other elements of personal interest to the couple were the waterfall, the lion and the butterfly. 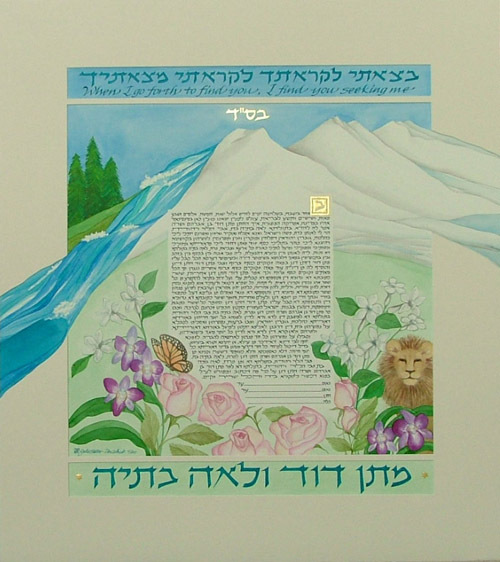 The waterfall and the mountains break through the mat and carry out to the edge of the piece.